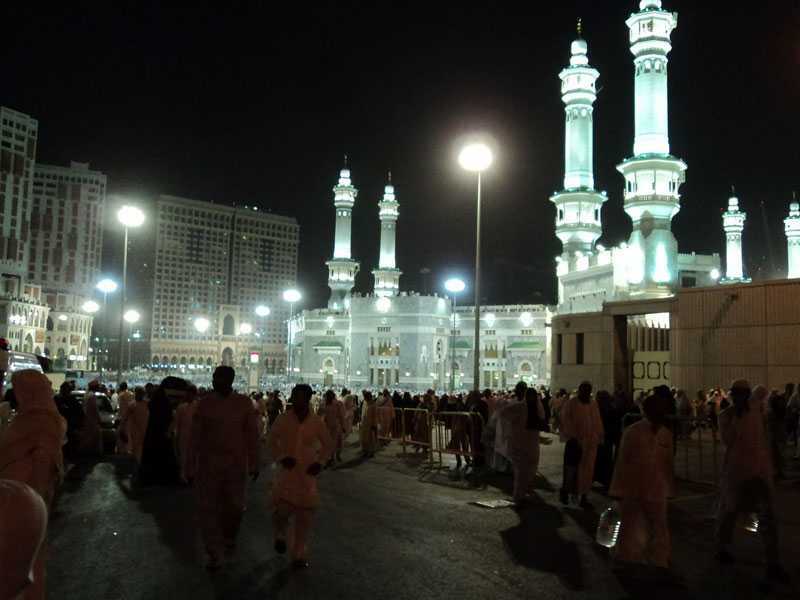 A Hajj pilgrim enters in Haram territory between 1st of Shawwal & stays till the 7th day of Zilhij with the intention to perform Hajj and Umrah separately. 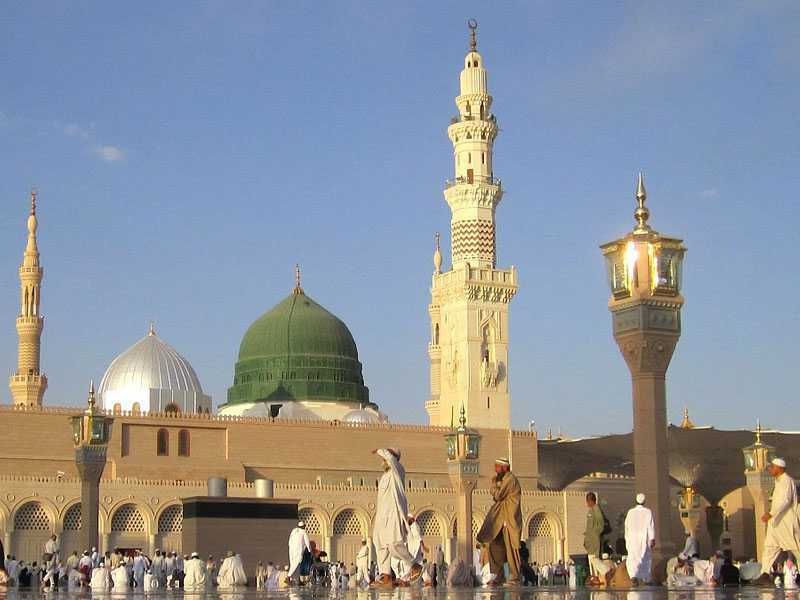 After performing Umrah as described in Umrah procedure (Ritual of Umrah), man pilgrims should shave his head or at least cut his head hairs. Women should cut a little bunch of hairs from the tail and sides of her hair. Pilgrim puts off his / her Ahram and wears normal dress. He/She waits living in Makkah till the morning of 8th Zilhij. After this said time, the restrictions of Ahram are no more there. In the morning of 8th Zilhij or in between the night of 7th and 8th Zilhij, a pilgrim takes bath as Sharia has described. One must take water into the softer part of nose and to the dead end of throat is essential. The whole body must be washed by water. Not even a single hair should remain dry or at least the intention should be in that direction. After completion of ‘Two Rakat of Nafil’, a man must uncover his head. And beg ‘dua’of intention for performing Umrah. "O Almighty Allah! I intend to perform Hajj. So, please make it easy for me, help me to do so, and accept my humble effort, Ameen." Female pilgrim must also follow suit except uncovering head. 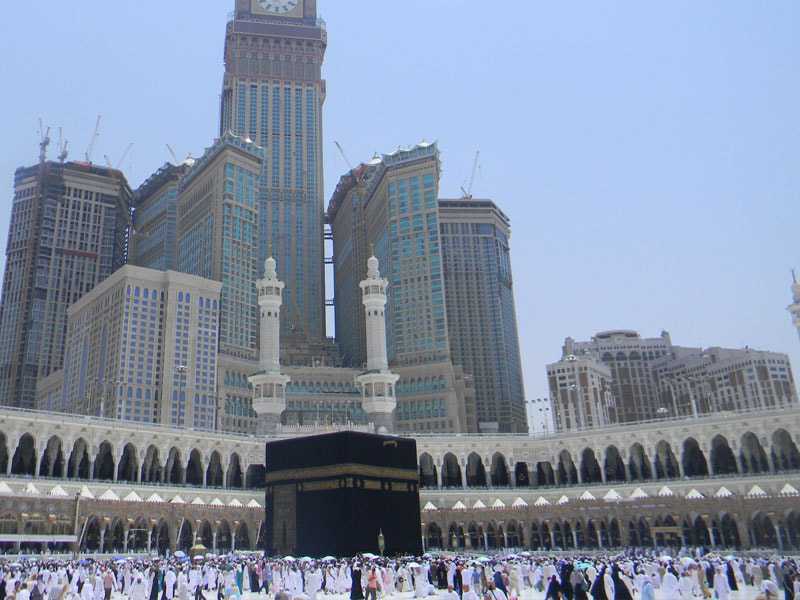 · Afterwards, both man and woman pilgrim must recite the slogan of HAJJ-TALBEEH. 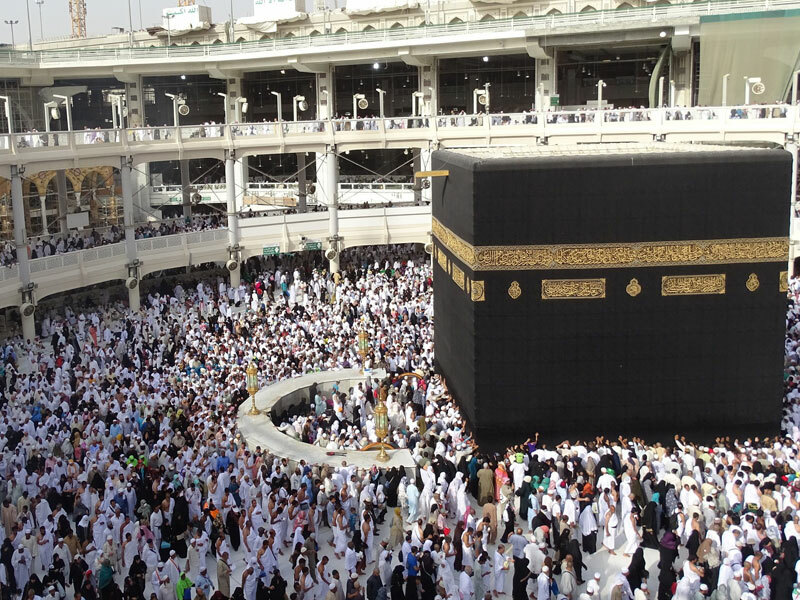 After performing this recitation, pilgrims subsequently come under the restrictions of AHRAM. 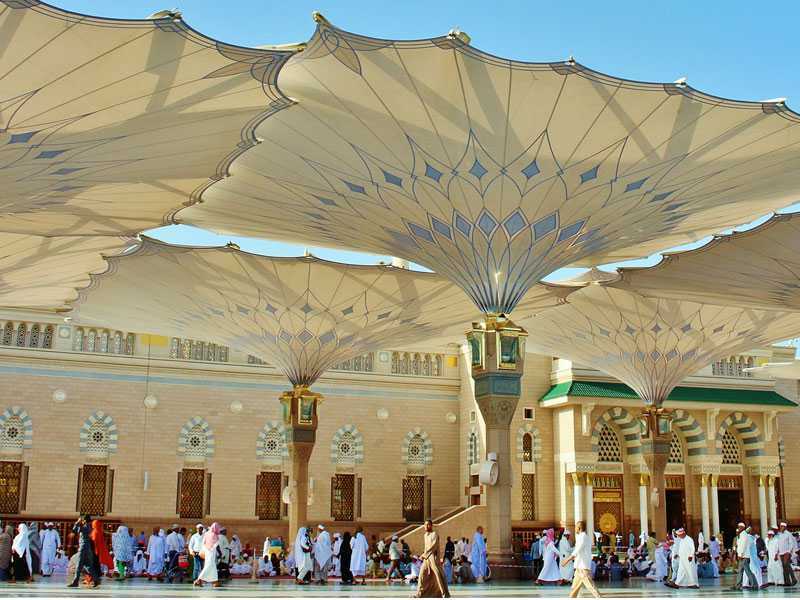 For further information or a quote please email umrah@siraatalmusthaqeem.com and one of our travel consultants will contact you in the first instance. A man needs to wear two white sheets of clothing. One is wrapped on the lower part of the body. Belt may be used to tighten the lower sheet of clothing to the waist. The second clothing sheet is wrapped over the upper body. On this stage head may be covered. The front of the feet must be uncovered; socks and shoes are not allowed after AHRAM has been worn. A lady may wear loosened dress comprising of shirt and trousers. HEAD must be covered by scarf . Face may be uncovered. 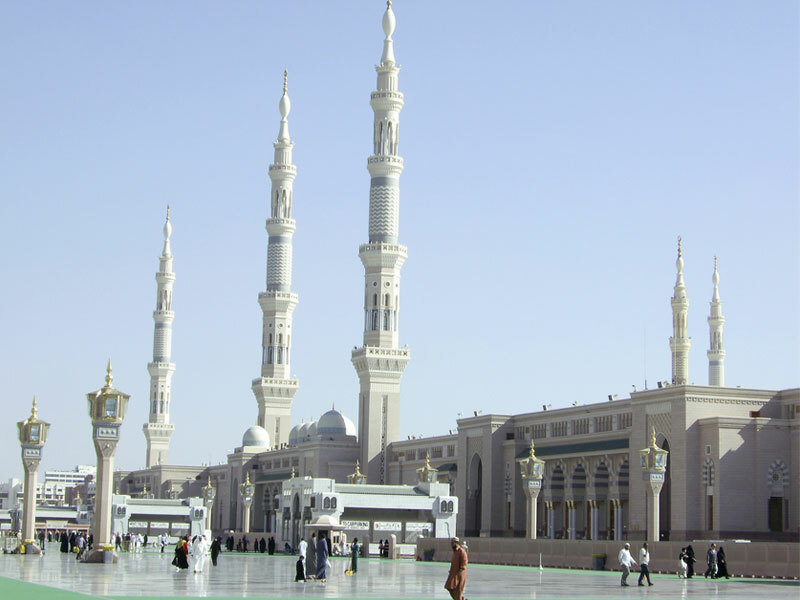 Offer two Rakat Nafil Prayer & the head must be covered by upper sheet of Ahram clothing.